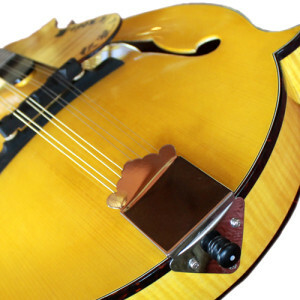 Flat mandolin SHAKA a-la-mode model that has attracted the attention conduct activities as a rock musician in the Jodo Shinshu Buddhist monk of active duty, even the name "SHAKA". 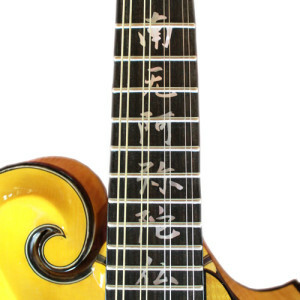 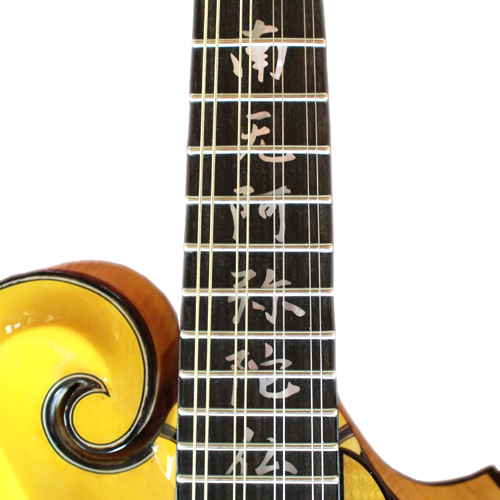 The body is yellow gold with the image of a glorious altar.Neck inlay of "Namuamidabutsu".It's very cool. 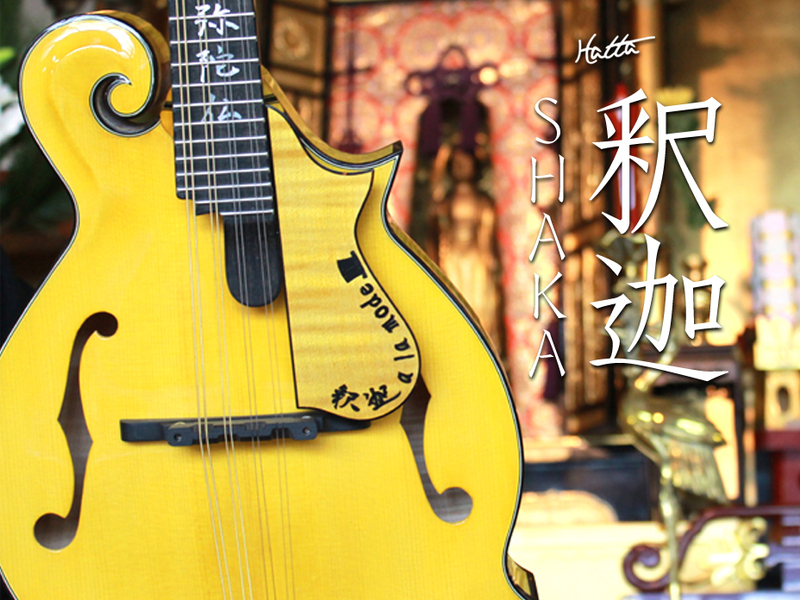 SHAKA a-la-mode model that gives off a feeling of overwhelming presence among the works of Hatta. 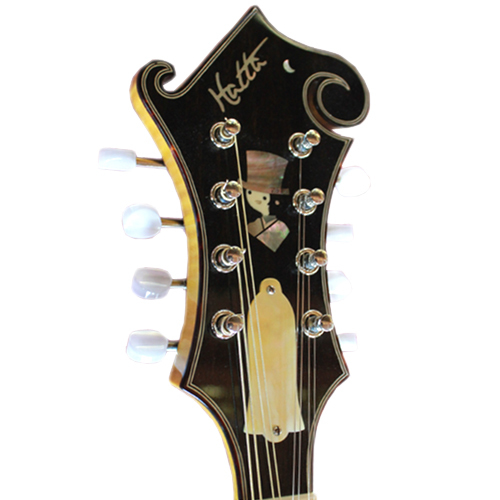 Do you make your model of only one in the world?